This book has two parts. Part I describes links between Science, Spirituality, Santana Dharma and Hindu Philosophy. Part II narrates survival Instinct and Awakening of subconscious mind(spirituality). Part I is a compilation of facts and information obtained through various sources on Hindu Philosophy including the vedas, Upanishads ,Ithihasa-Puranas ,rituals practices mantras , slokas, temples and cultural spectrum of India. A sincere attempt is to made to understand ; collate and present them in a logical order. Significant part of Santana Dharma (or a way of life of ancient Indians that forms the root of Hindu Philosophy) is based on science . As constructed by some , Hindu Philosophy is neither a myth nor a dogma with orthodoxy and elaborate rituals. these concepts were logically developed in corresponding periods of time with relevance to society and geographical conditions. Interestingly most of them hold good even today. The first part of this book is not an original idea . 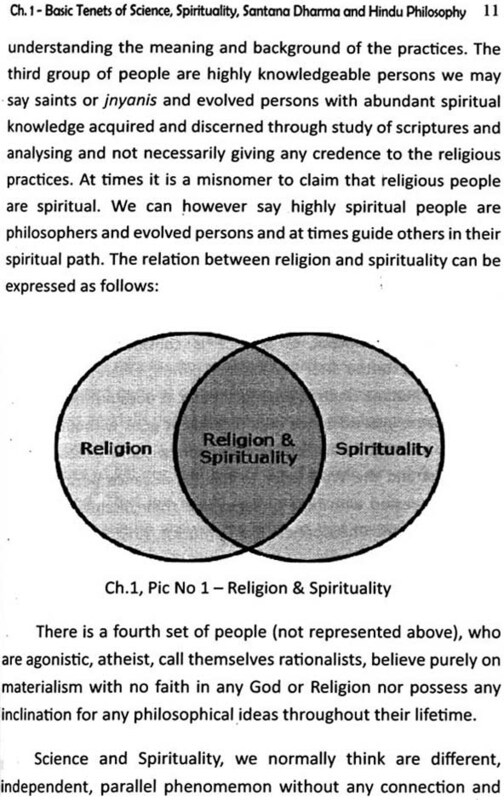 it is only my understanding of Spirituality and Santana Dharma or hindu philosophy. Relating these three aspects to science and everyday life forms the core of this book. while learned scholars of the east and west have made several such attempts in the past ,this is my humble maiden effort to try and kindle interest in the minds of the readers regarding sanatans Dharma. This concept of Sanatana dharma is vast and spans over trillions of years . Thus, one's lifetime is not sufficient to fathom or analysis its relevance and implications in its entirety. 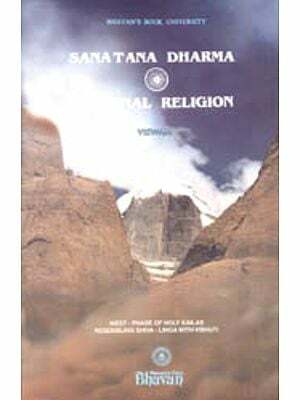 I sincerely hope this book enables the reader to pursue and explore further certain areas of interest or the concept of sanatana Dharma in general. 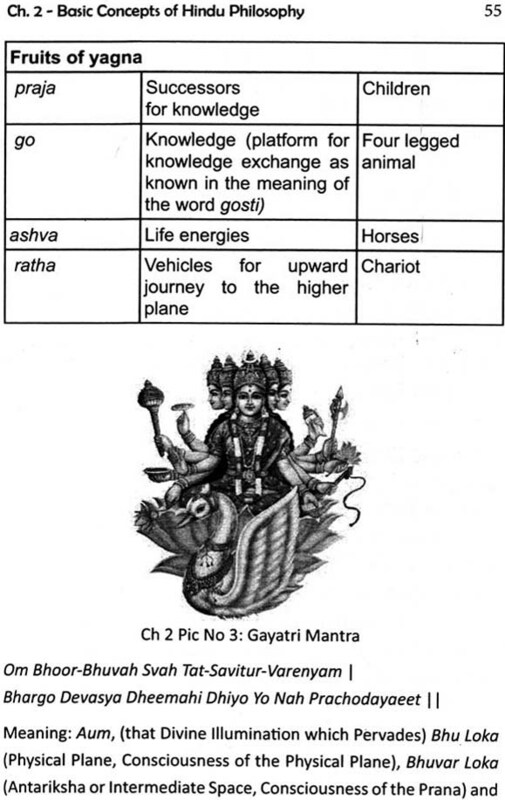 Part-I :Chapter I defines basic tenets of science , spirituality , Sanatana Dharma. Chapter II is an elaboration of various concepts and practices of Hindu Philosophy . 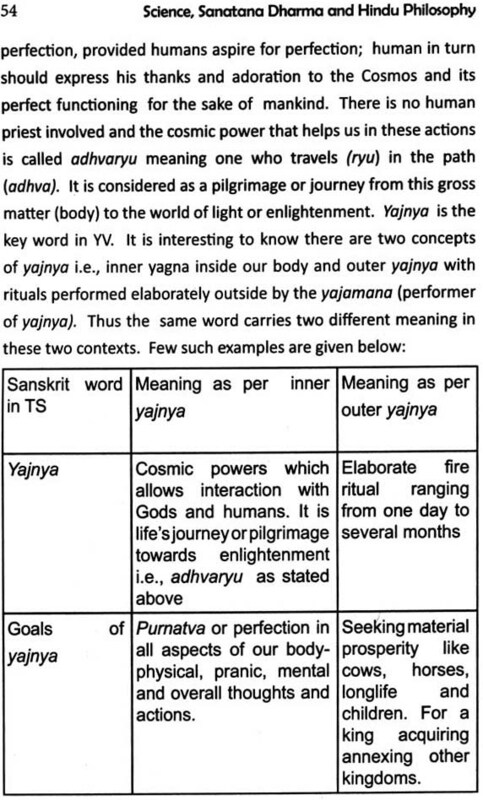 chapter III explains evolution of the - the practice of yoga , Sanskrit language being the medium of ancient wisdom of sanathana Dharma and transition from Vedic rituals to temple worship concepts of praana (soul)and dhaatu (matter)with science . 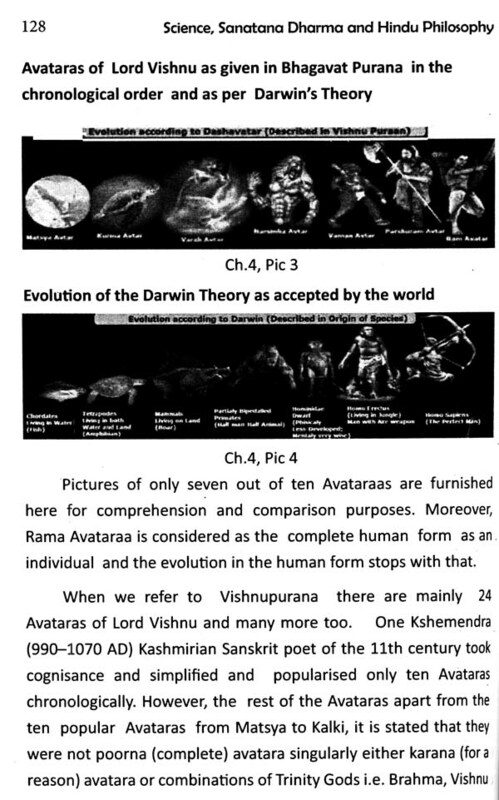 it illustrates how Vedic Science precedes all forms of science as we know it today. Part II: This book was inspired by my personal experiences with cancer as elaborated in this part. A brush with death gives an individual a unique perspective on life . it magnifies the subconscious mind which for me accentuated spirituality. Survival Instinct and Awaking of Spirituality (part II)is summary of situation and emotions i went through during the course of treatment and post operatively. This part is my original work , based on my recent experiences. The purpose of part II is to my distinctive experiences with relatives , friends and former colleagues of RBI . Now, a faith within me asserts that i have overcome the health issues and emerged stronger both physically and mentally . it is pertinent to say this is the second time i have been diagnosed with breast cancer (first time in 1992). This time life presented me with a twist . In addition to invasive ductal carcinoma , during a complete body scan a brain tumor (meninginoma) was also detected . Post treatment , writing this book proves that i have regained my activity enthusiastic life. As long as one is self -reliant and capable of carrying out assigned duties without any external help, he/she can live an independent life. Contentment and peace within one self while accepting the situation gracefully also gives us a sense of well being. First , i owe my gratitude to the doctor community at Apollo Hospitals for their valuable medical assistance. My sincere thanks also goes out to a number of friends and relatives who prayed for including ex-colleagues of RBI at Chennai/Bangalore Office. I am completely indebted to my husband who was my sole and soul mate. He has been my backbone and a pillar of support along every step of the process . He made informed , yet timely decision in consultation with me and our doctor who lives in US. Throughout this struggle for my survival , he has never expressed resentment , disgust or frustration . Vicarious trauma or care giver distress is an important part of patient journey that also has to be accounted for . I salute him for handling every situation along the way gracefully and efficiently. I am grateful to the Reserve bank of India (RBI), when i worked for nearly 40 years. That platform gave me the maturity to handle both my diagnoses and recovery . i had worked at various capacities including performing several commercial bank inspections. RBI also provided the required financial comfort that allowed my family to eliminates at least one stressor . Science the medical insurance agent of RBI ,I.e., MD Insurance , bore major part of the expenses for the treatment and the shortfall was met by the medical Assistance fund (MAF) of RBI. Overall I thank God Almighty for giving me the strength to survive the ordeal and recover fully.